One of my brothers used to have them on large sixteen or twenty inch discs, you know, aluminum discs. They were transcribed by the people at one of those radio history things. Anyway, whatever shape they’re in - that would be great. Kliph Nesteroff: Yeah, no problem. She had a half hour radio show about that. Most of them are just fifteen minutes. She would review a picture and interview everybody. The Dead End Kids. Top of the line people. 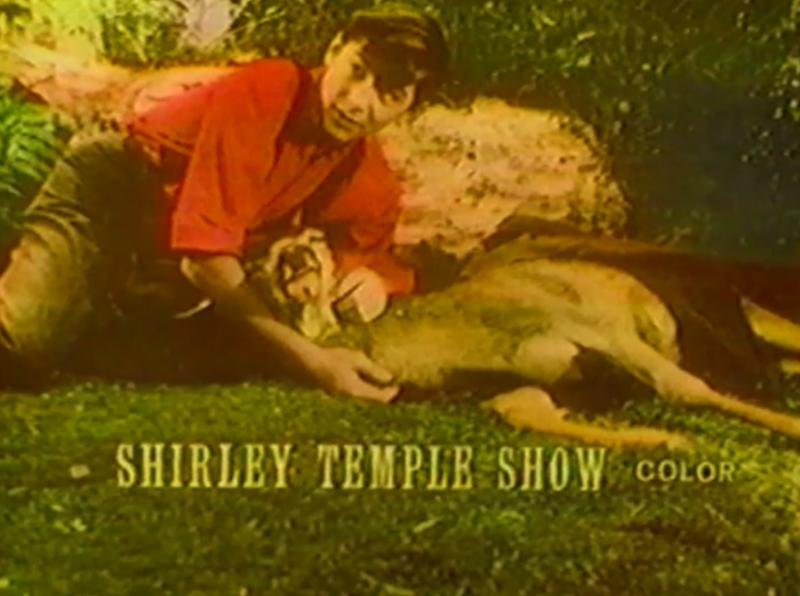 Kliph Nesteroff: I read that when you were a child you attended Shirley Temple's birthday party. 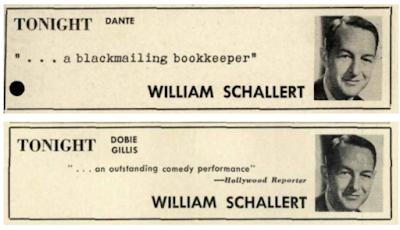 William Schallert: My father was the drama editor of the Los Angeles Times for forty years. 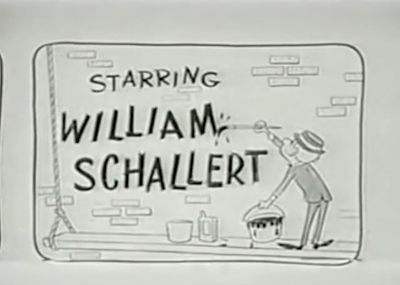 The Schallert name was an “open sesame” when I was first getting started. 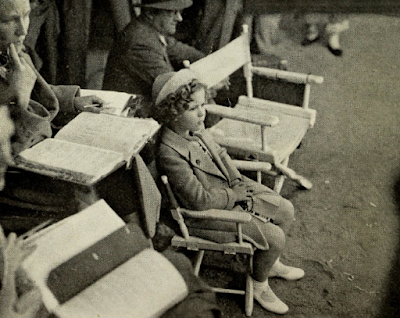 For a couple of years I did go to Shirley Temple’s birthday parties. I was seated well away from Shirley Temple. It was at Twentieth Century Fox and, you know, it was publicity. Kliph Nesteroff: I wanted to ask you a little bit about the Circle Theater. One of my favorite people in the world is character actor Marvin Kaplan. 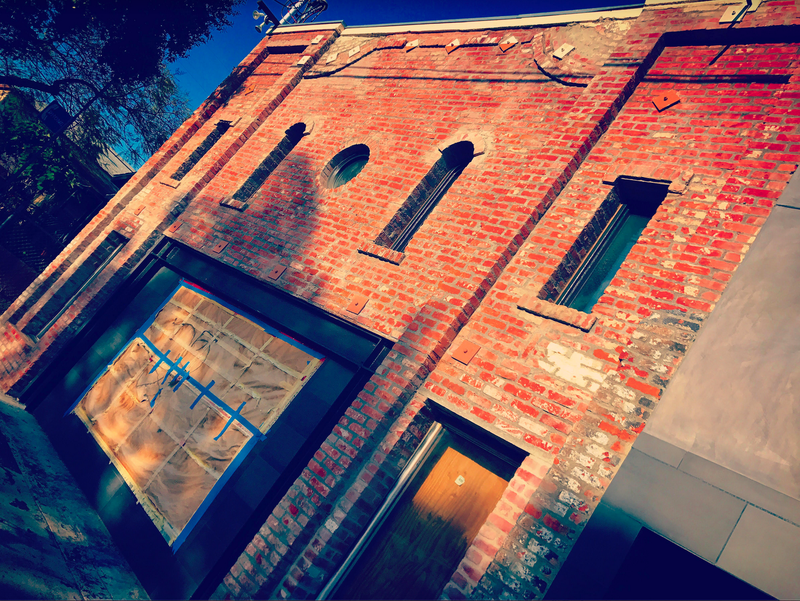 Kliph Nesteroff: You both came out of the Circle Theater on El Centro Avenue, an ancient building that's still there. 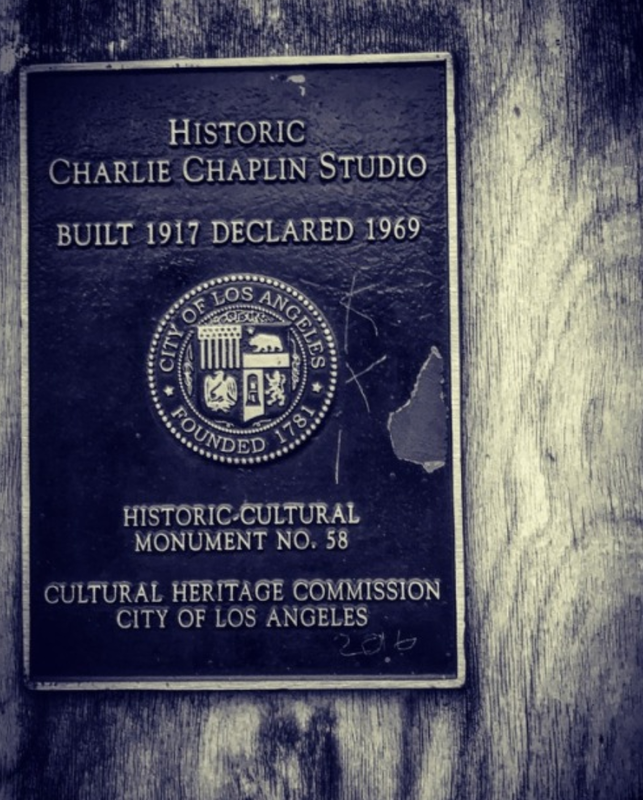 In Hollywood every old building lays some specious claim to Charlie Chaplin, but his family did own the Circle Theater, right? 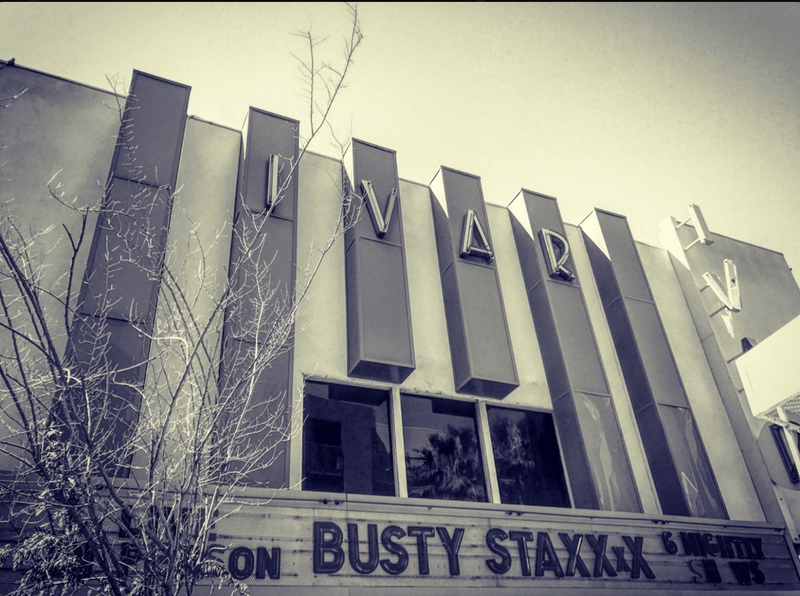 It's the oldest theater in Hollywood - and still standing today. 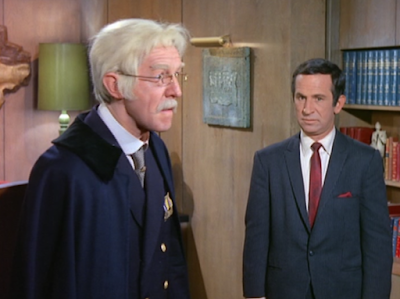 William Schallert: Charlie Chaplin took an interest in the theater because his brother Sydney was in it. This was around 1947. Charlie Jr. was in it too, but he didn’t stay very long. Jerry Epstein was the guy who was sort of running the place. Jerry Epstein, Sydney Chaplin and myself were owners of the theater. I put some money up. Chaplin used to come to see the plays. The first play we did was Ethan Frome. Well, before that we had been up the street and had done The Adding Machine. But where we ended up is still there. It was called The Circle Theater and the Players Ring and they renamed it El Centro Theater at some point. Mabel Albertson was the musical director for the Andrew Sisters and Jerry Epstein had been their road manager. They were in cahoots. She had cast me in the first play and people in the group said, “Oh, that’s a piece of fluff.” And it was. So they decided not to do it. And then they did Ethan Frome instead, which is about as far from fluff as you can get. A grim, grim play. I played Ethan because of Mabel. She liked my work. The next play we did was The Time of Your Life. Chaplin saw us in The Time of Your Life and he liked it. He called William Saroyan and said, “Why don’t you give these kids the next play of yours to do? They've doing a terrific job with this one.” Saroyan didn’t really believe in telephones. When he talked on the phone he TALKED LIKE THIS ALL THE TIME. 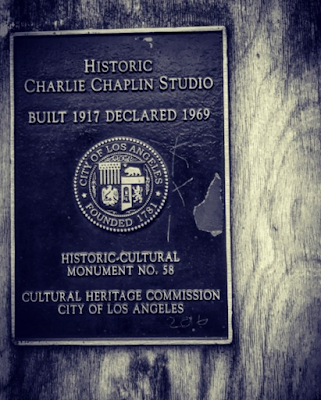 In any event, Chaplin started coming down to the theater. He was seeing the plays before they opened. He'd come when we were in the last week of rehearsal. He drove this little plain black Ford over from Tower Drive in Beverly Hills. He would show up and he would watch us do the first act of the play and he would say, “Ah! No! Could we just stop here? And go back to the very beginning and run through it one more time?” He wasn't the director, but he would take over. And he would proceed to take it apart and work on it, and he became the director kind of after the fact. He added touches to all the plays we did for about two years. And then we had decided to do a production of Rain. 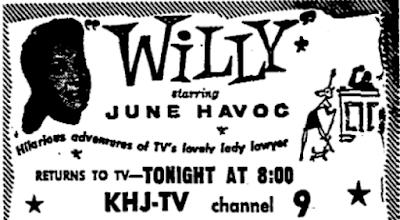 June Havoc had been coming to the theater. 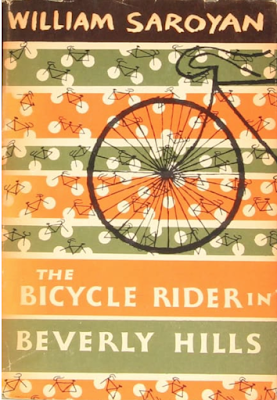 Her husband was a radio producer named Bill Spier. He did Sam Spade and Suspense. They came to the theater. It was a theater in the round and it was very small. The acting area was only about 8x10 and we could seat, if we crowded them, we could maybe fit 140 people. Most of the time it was around 110. When we did The Time of Your Life we made up the whole theater as if it were a saloon. People would walk in and there would be sawdust on the floor and tables with checkered table cloths. The audience sat around on these bar seats we spread around the theater. 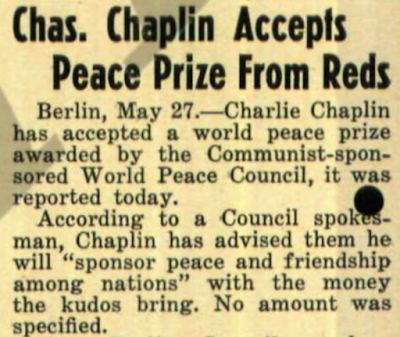 Chaplin would come at night and he’d do a good deal of reworking. It’d be getting late and his wife Oona would be saying “Charlie, these kids have got to get up early and they’re going to have to do the show again tomorrow night. We have to get going.” It’d almost be dawn. They’d leave finally and he'd go, “Now remember everything I said!” We did our best but he’d come back the next night and say, “Oh no! Oh no, this is all wrong.” And then he’d redo it again (laughs). 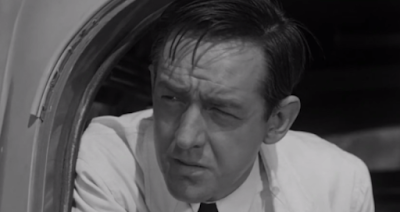 William Schallert: Well… you know, we weren’t going to complain. I mean, he was Chaplin, after all. William Schallert: He would give us some very good stuff that we could use. So he would show us and we would imitate, which is not the best way to do it, but then sometimes he would talk to people and give them interesting suggestions. 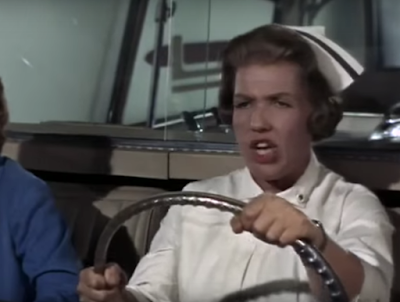 William Schallert: Yes, Kathleen Freeman and Strother Martin both started at the theater. Kathleen described what Chaplin had told her about Rain. 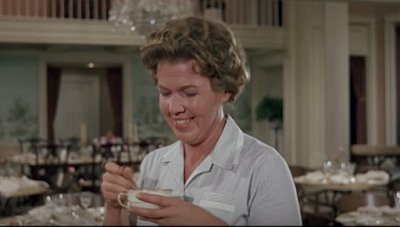 She played a Native woman who was married to the guy who owned the hotel. Chaplin gave her a different thing to do on each of her entrances. He said, “Now on this one, you know, you want to impress the people with how efficient you are. On this next one here, you want to see if there's something you could do that would make them give you more money...” And just things like that. It wasn’t all just imitating, but he gave motivations. It was the same idea as the Stanislavski method. Kliph Nesteroff: Next you did a William Saroyan play called Sam’s Ego House. Kliph Nesteroff: It was 1947 and you were playing a seventy-five year old man in the play. Sort of interesting in the wake of the famous Get Smart character you did years later. 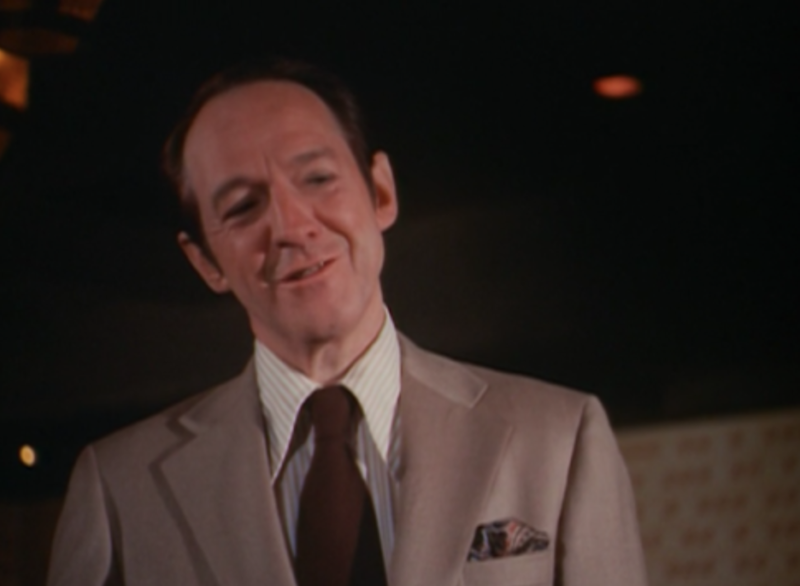 William Schallert: Well, I loved playing the old guys! I was the character man of the company. When Chaplin decided he was going to direct Rain I played Reverend Davidson. I was twenty-five. It was ridiculous. 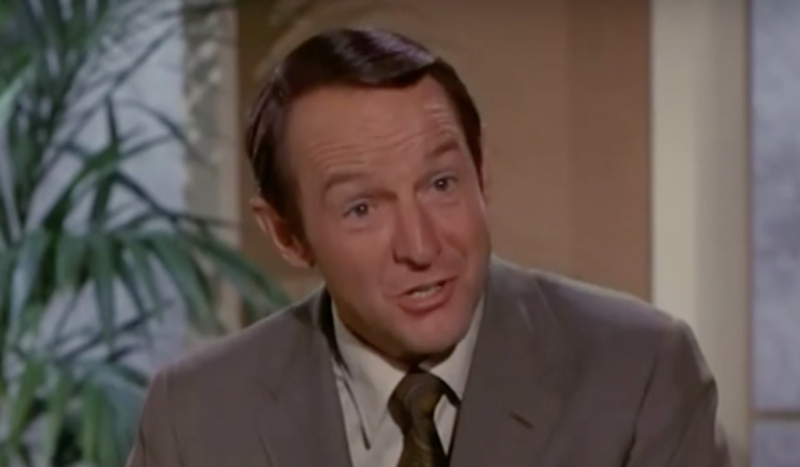 William Schallert: Sam Ego's House is not a very good play. I don’t think it has ever been done again. But Saroyan had a very special quality in his writing and we loved doing it. And that was a great part for me. Toward the end of it I had a long monologue. While I was delivering it, I would start to leave and stop, and then finish the monologue, and then after that I would actually leave. And on my exit I would always get a terrific hand. So every night I got this tremendous hand. Except once. And that was the night Saroyan was there. William Schallert: What happened was Saroyan thought I was finished and he didn’t think they were going to applaud so he started a hand himself, but it was way too early. William Schallert: So it killed my big exit. Kliph Nesteroff: He wrote the monologue yet didn’t realize it wasn't finished. William Schallert: (laughs) No, he didn’t remember. It didn’t matter. He said, “I wanted to make sure that you got a hand because it was wonderful!” So it was the best of intentions, but it was kind of a funny thing. Anyway, Chaplin always liked what I did... At least, he liked some of what I did. He’d seen Sam Ego's House and the next play we did was Goldsworthy, which was very dull. I was playing a butler, a very small part. 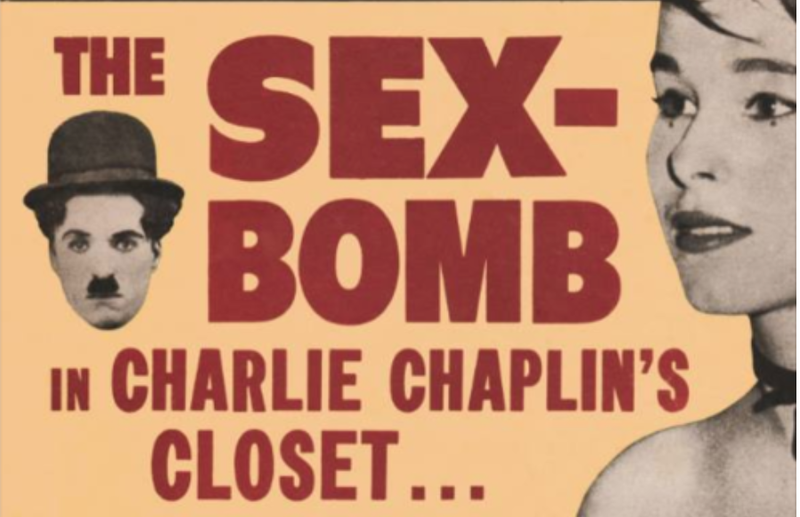 I started to do something and Chaplin said, “Oh, you don’t want to borrow from that wonderful thing you did in Sam Ego's House. No, we want to do something different.” And so, from that, I guessed that he must have liked what I did in Sam Ego's House. Kliph Nesteroff: Sydney Chaplin was dating Marylin Monroe at the time. William Schallert: I never saw her. I didn’t know that Sydney was dating her. She had been raised right across the street from the theater in an orphanage on El Centro Avenue. That’s where she had sort of grown up. It might still be there. I haven’t been in the neighborhood for a while. I’m not sure. Kliph Nesteroff: I still can't get over the company at The Circle Theater. All the famous character actors - Marvin Kaplan, Strother Martin. Kathleen Freeman, William Schallert... these are the greatest character actors in film and television history. William Schallert: Yeah, whenever I talk about that theater I always mention them. They were all a significant part of it and it is where they started in the business. William Schallert: And, yeah, Strother and I were good friends. He was a wonderful diver. Back in Michigan he'd been in the finals of the diving championship, the NCAA championships. He was fourth out of the country and if there’d been an Olympics that year... that was in 1940... if there’d been an Olympics that year he would have gone. 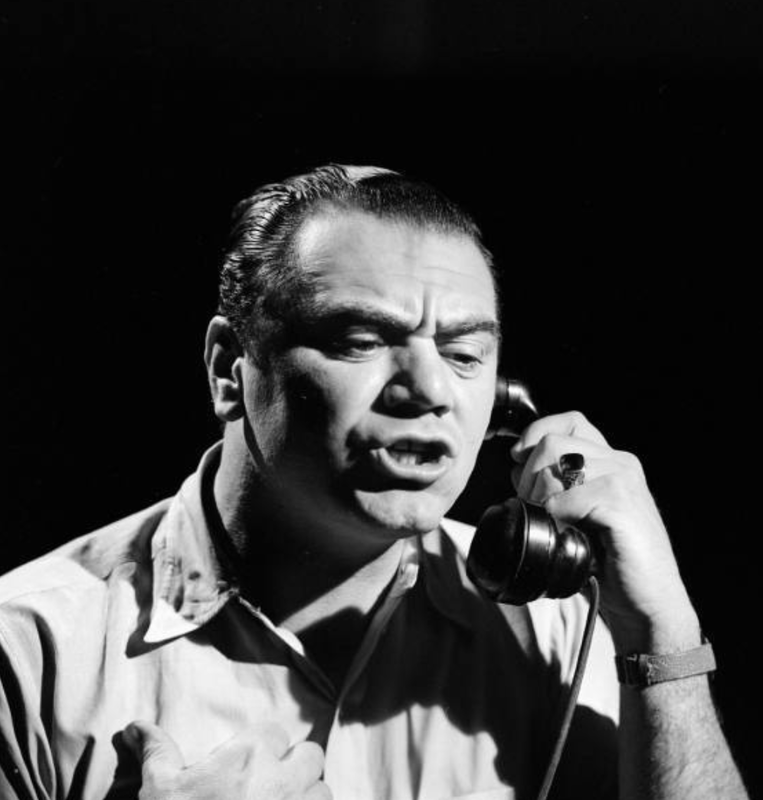 Kliph Nesteroff: There was somebody named Danny Arnold in the Circle Theater. 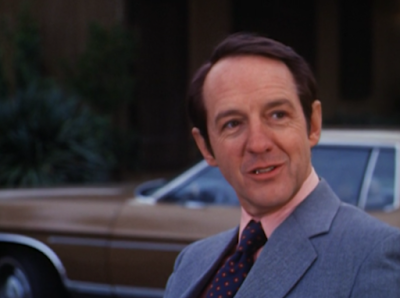 William Schallert: In Time of Your Life he played Wesley. I don’t know why I remember that. In the scene he's on the phone desperately talking to a girl and when he gets off I say, “How’d you do?” He says, “Uh… not very well. She said she wanted to be of help, but I don’t know what kind of help she could be of.” (laughs) That’s a nice line of Saroyan’s. Anyway, he was a very good actor. He was with us when we first started with the Elmer Rice play The Adding Machine. Joe Mantell was part of our group. He had been with the Actor’s Lab out here. He was in Marty. He was the guy who was always hanging out with Ernest Borgnine saying, “Well, what are you going to do, Marty?” Mantell was a very good character actor. 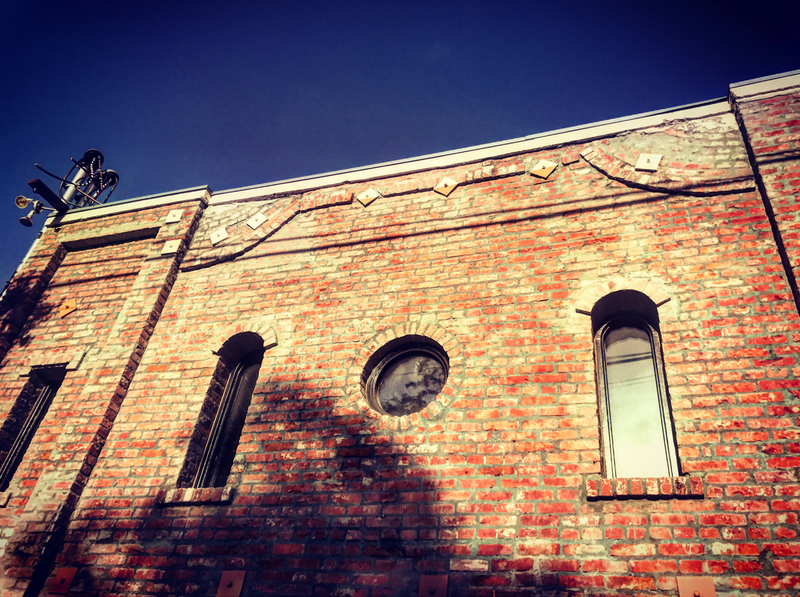 He started with the Actor’s Lab, but he worked with us. Kliph Nesteroff: What about this play you guys did called Kitty Dune? 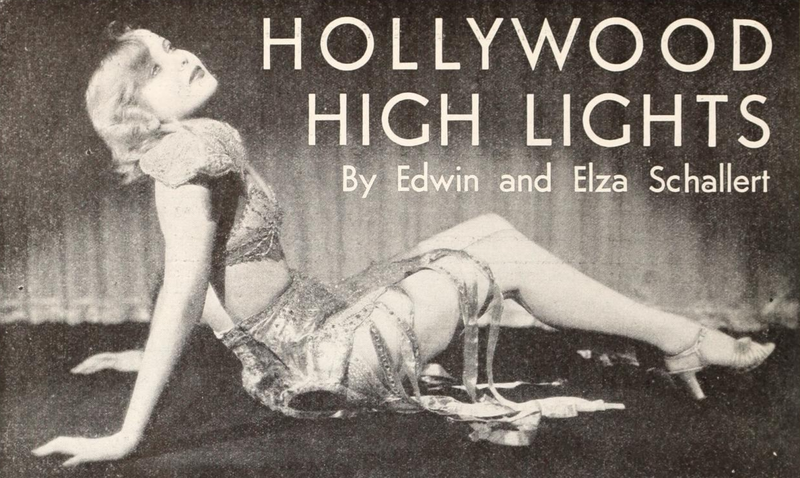 It sounds sort of like a predecessor to the film Sunset Boulevard. It’s about a washed up Hollywood star. You played the producer. William Schallert: Yeah, it was written by a guy named Aben Kandel - and that’s exactly what it was. It was about a washed up movie star. I played the head of the studio (laughs). I was usually playing stuff like that. And I’m trying to remember the actor's name. 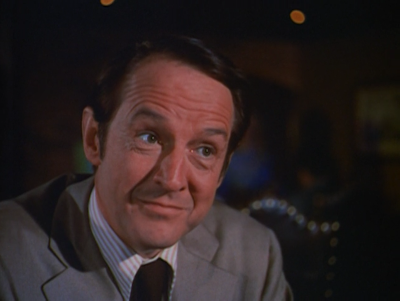 William Schallert: Yeah, that’s right. Ellanora Reeves. She was very good. And once in a while we would have outside people - people who were stars elsewhere - who would come to us and want to work with us. She was one. 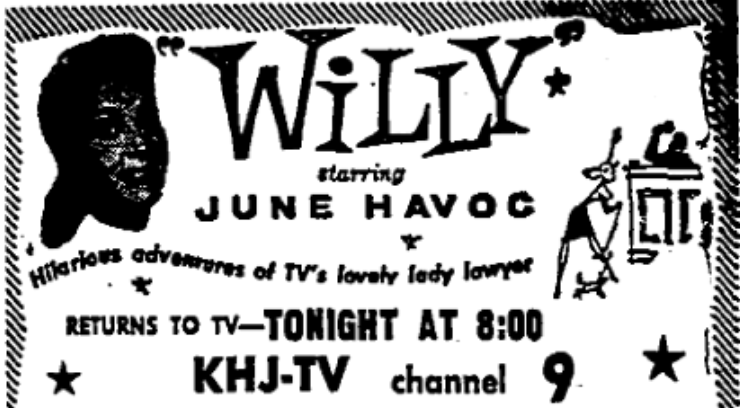 June Havoc was another. She decided she wanted to do Rain out here because she had done a musical version of it in New York and she wanted to establish her acting chops out here in Hollywood. So as a result a lot of us got to work on some of the last great radio shows in the late forties. 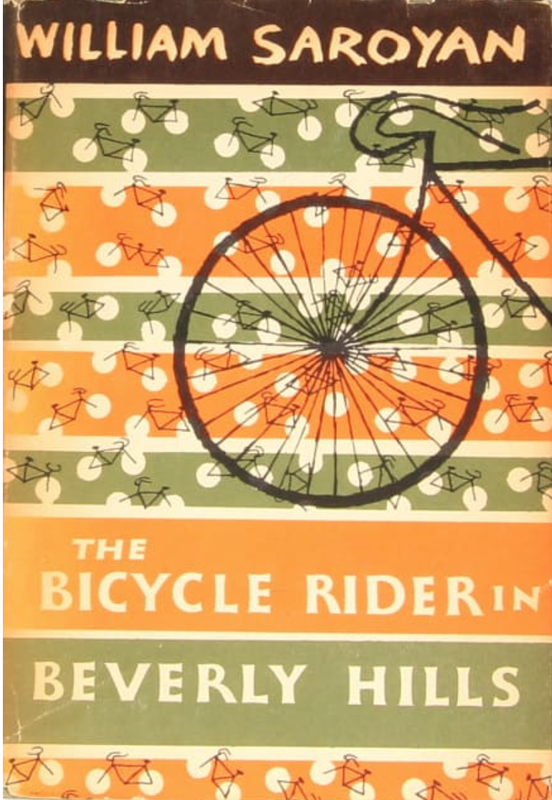 Her husband was Bill Spier who used to produce radio shows, so you'll hear myself and Marvin Kaplan and some of the others on those old radio shows. We also worked with Marie Wilson. I don’t know if you know who she was. 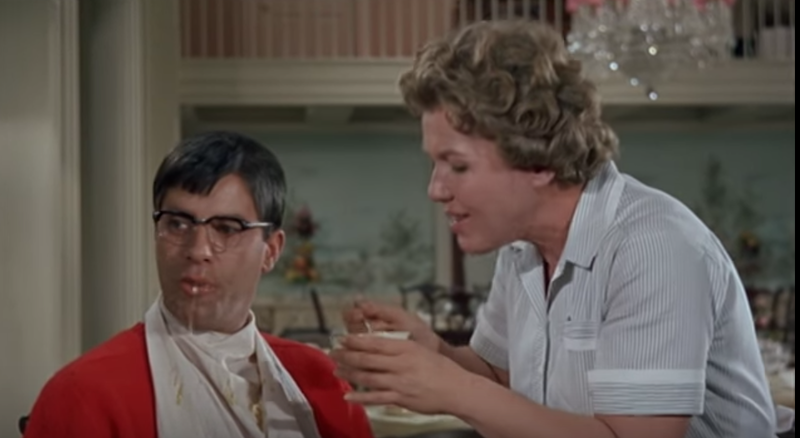 Kliph Nesteroff: Sure, Marie Wilson starred in the first movie with Dean Martin and Jerry Lewis. Kliph Nesteroff: The Circle Theater production with Marie Wilson was School for Scandal. I've heard that it was kind of controversial because she was more of a voluptuous night club star than an actress. She was sort of a proto-Jayne Mansfield. William Schallert: Exactly. She had done a show called Ken Murray's Blackouts. Kliph Nesteroff: Right, right. It ran for years and years at 1735 Vine Street. Sort of an elaborate burlesque comedy revue. 1735 was the same theater where they later did the Hollywood Palace and the Jerry Lewis talk show and a million other things. William Schallert: Ken Murray's Blackouts was very successful. Marie Wilson played the dumb blonde in School for Scandal - Lady Teasle. She was married to Sir Peter Teasle and I played Sir Peter Teasle. She was actually wonderful in it. She was wonderful to work with. She was delightful, very funny, voluptuous, and knew what it was people wanted to see from her, which was perfect. She was very good in this thing. Chaplin had a woman named Constance Collier, who had been a well known British stage actress back in the time of Sir Herbert Beerbohm Tree. Around the turn of the century. Chaplin sort of took care of people like that. She had a stipend from him, fifty dollars a week, which helped her stay alive and in the business. And then she made money as Katharine Hepburn’s coach. 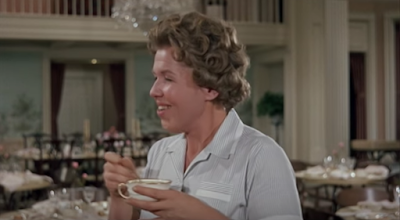 It was through Constance Collier and Katharine Hepburn that Marvin Kaplan came to the Circle Theater. Kliph Nesteroff: Right, he’s told me that story. Was Kitty Dune something that Billy Wilder would have been inspired by? Sunset Boulevard was made just two years later. 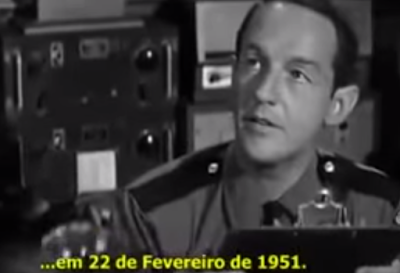 William Schallert: You know, I have no idea. It never occurred to me, but it’s possible. Ellanora Reeves was a good actress. She was married to the original Superman. 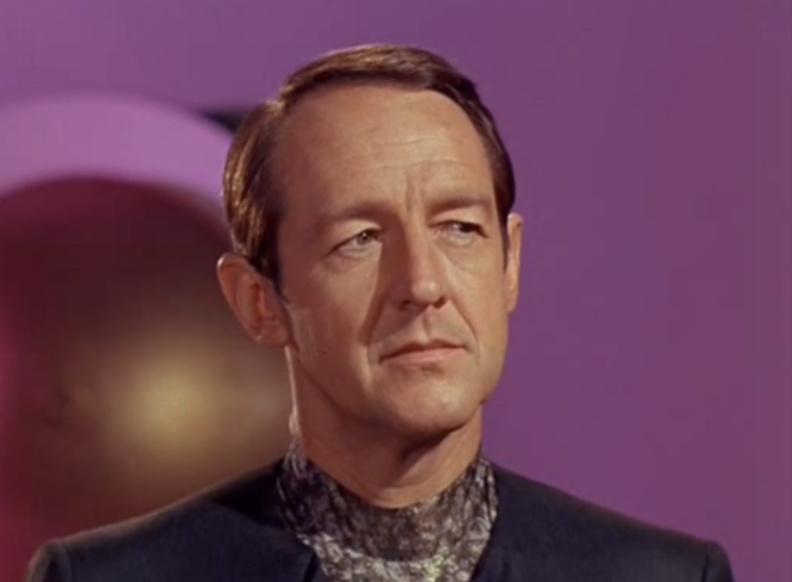 William Schallert: Yes. She was a very good actress and it was an interesting story. I don’t remember much of the details about it. I guess it’s possible. It’s an interesting speculation. I’ve never heard it before. Kliph Nesteroff: So how did you parlay into film acting? Right around the same time you started getting your first bit parts in films. You were in a lot of B movies, but also prestige pictures like The Reckless Moment with James Mason. 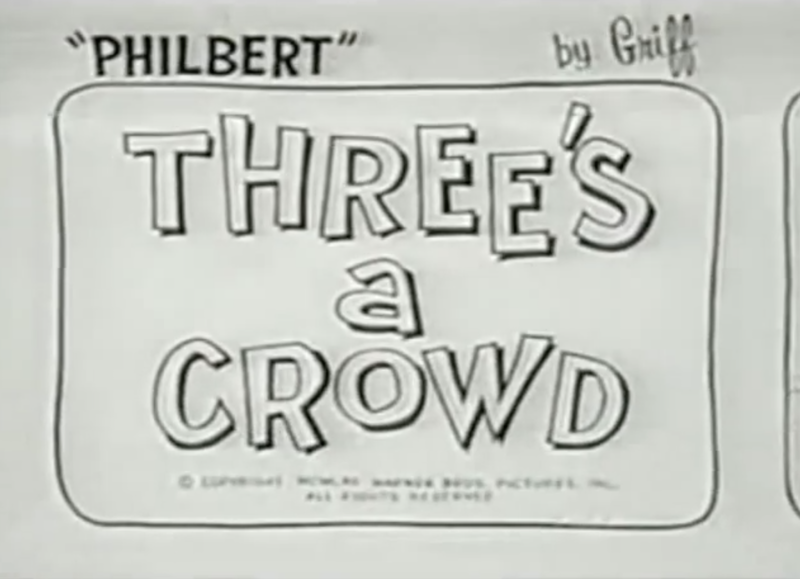 A Max Ophuls film. 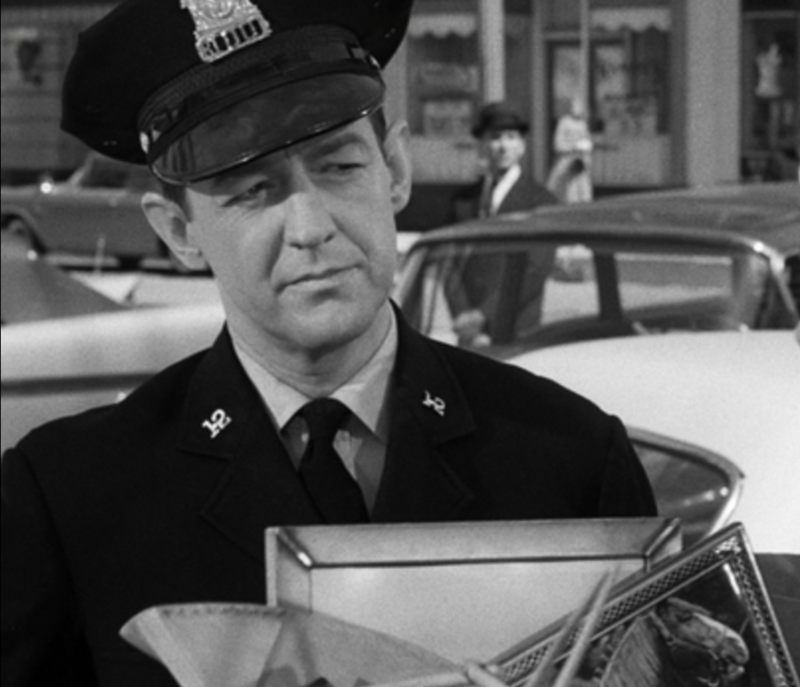 William Schallert: Yes, I remember Max. We were doing a play of Shaw’s at that time - Major Barbara. Max Ophuls had seen the play and he decided he wanted to use me in this movie called The Reckless Moment. I don’t know that it was even a scripted part, but I played a police lieutenant. He was a marvelous director. He got me to improvise something. When I saw it on the screen I thought, “Wow, I didn’t know I could act that well!” He had a marvelous way of drawing things out of you. Max Ophuls wasn't the only one who saw that play. Norman Lear told me that it was the very first thing he saw when he came to Hollywood. He drove into town, parked on El Centro Avenue, left his family in the car and walked into our production of Major Barbara. Kliph Nesteroff: You also directed a bit at the Circle Theatre. I have you down as the director for What Every Woman Knows. William Schallert: Yeah, wonderful play by James Barrie. Well, I did my best trying to put it together as a director, but directing is not something I liked. I tried it a number of times later on and my wife said, “You know, you’re very unhappy when you’re directing.” I said, “I know. I’m not going to do it anymore.” I stopped. I was only interested in being the actor on stage and I wanted to be the center of attention that way. They have to be able to enjoy helping other people bring out what’s in the play. Joe Sargent was a friend of ours and he went on and pushed it. He tried to get me to do more, we directed a couple of things together, one act plays, that kind of thing. But I told him, I said, “Joe, you know I don’t really want to direct.” So, I think he was very disappointed in me. 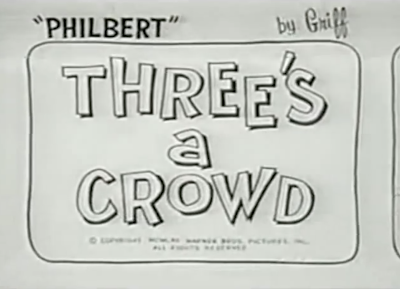 Kliph Nesteroff: I found a trade ad from 1957 advertising the fact that you were directing two plays at the same time. The Rainmaker at Tuscan Playbox in Tuscan, California and Champagne Complex at the Laguna Summer Playhouse. William Schallert: Yeah, I directed both of those. 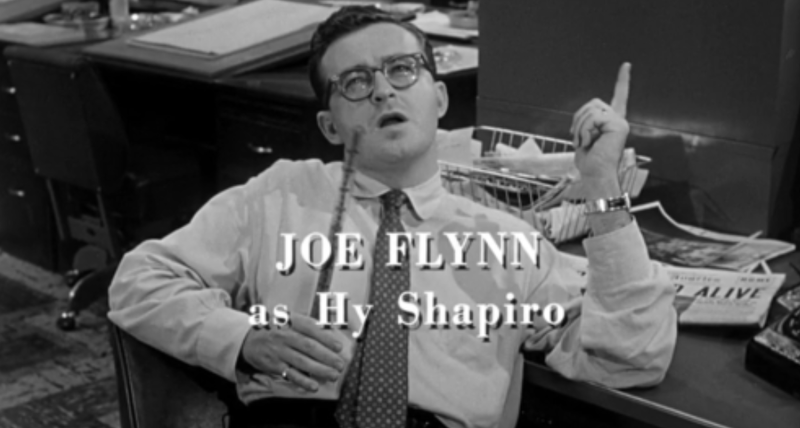 Joe Flynn was in the one at Laguna. And later on I did that play at a small theatre started by some of the people who had been with us who broke away. They started the Player’s Ring and they had three theaters at one point. And I did Champagne Complex with them in 1960. As a result of that I got the one pilot I did for a series that I was going to star in. It was called Philbert. Kliph Nesteroff: Right. It was part animation - part live-action. 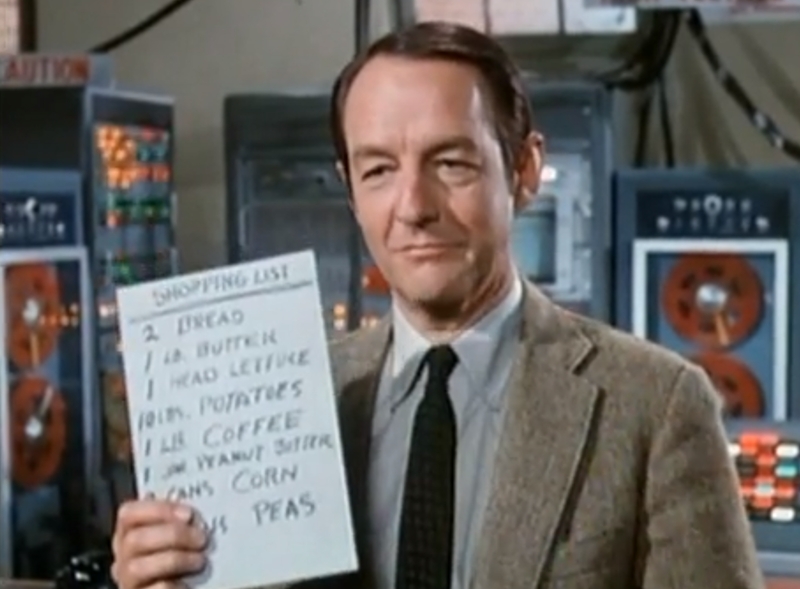 William Schallert: And we thought we had a sale. 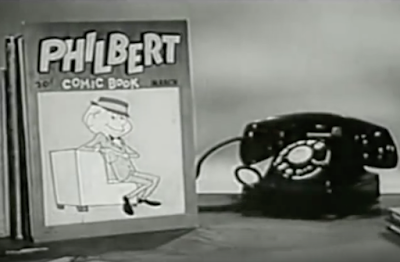 I got a call from Friz Freleng. He was the cartoonist on that. 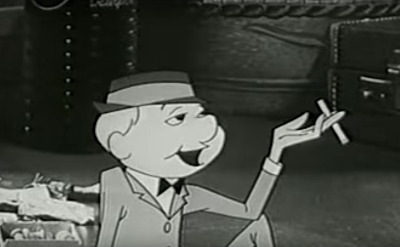 He was also physically the model for Mister Magoo. He was famous among cartoonists as the guy they based Mister Magoo on, the way he looked. Kliph Nesteroff: I didn't know that. 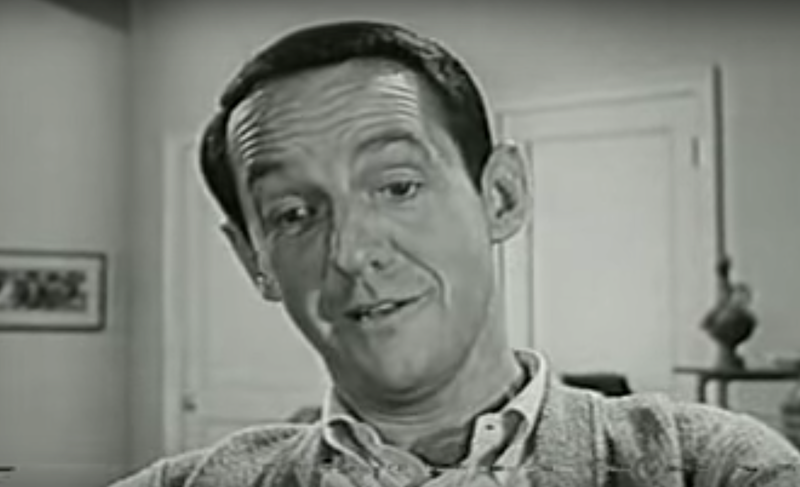 William Schallert: Friz told me, “We got an order to develop eight scripts. So I think we’re good.” And this was after we made the pilot. 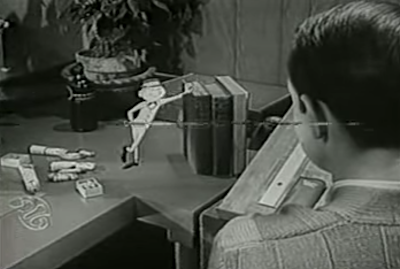 And I remember calling my wife and saying, “Honey, I'm going to be a star!” It turned out they couldn’t… Friz told me that they told him it cost too much to make, what with putting an animated character in. In those days they used to do a black and white comedy, a half hour comedy, for fifty thousand dollars. William Schallert: But in that show it would have cost... because there was so much animation... it was going to cost seventy-five thousand an episode. 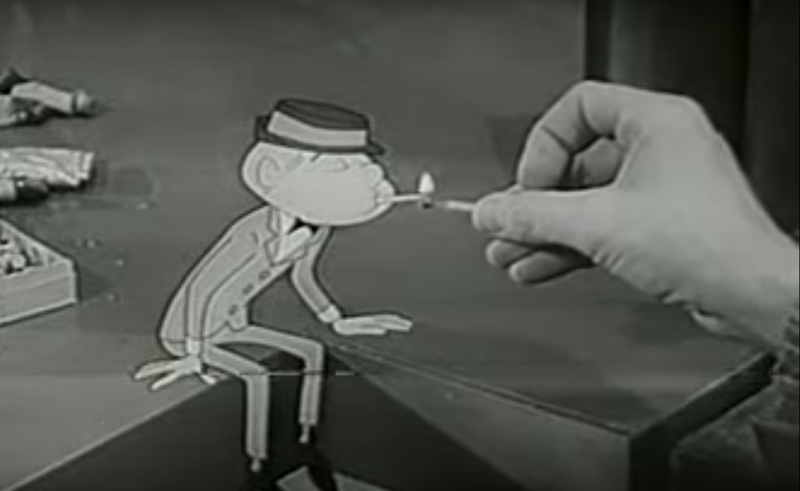 Friz Freleng told me, “They said you weren’t a big enough name for them to justify spending that much.” So… easy come, easy go. Kliph Nesteroff: We'll get into your television career later on. I want to finish up with your early career first. 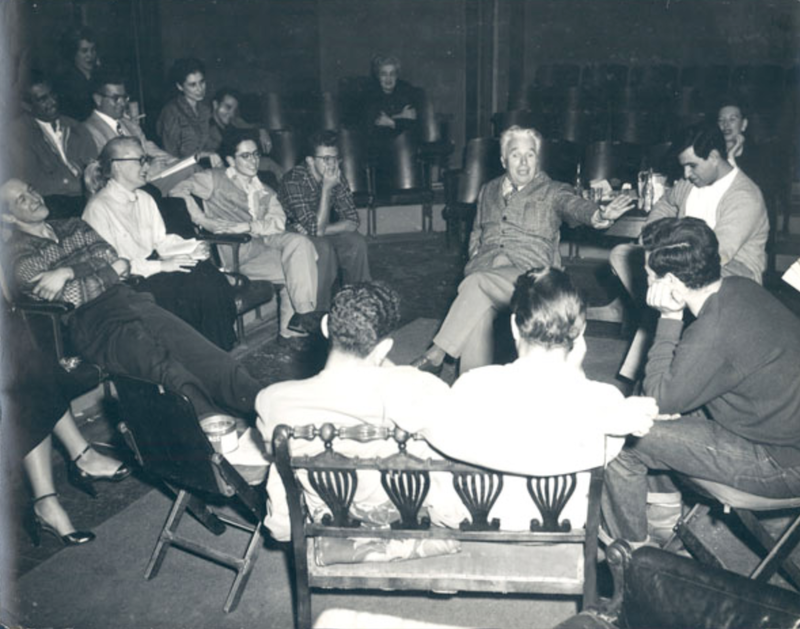 You directed a play by William Saroyan called The Cave Dwellers. It was produced by Monte Hellman before he became a director. What do you remember about that? What do you remember about Monte Hellman? He was one of the best filmmakers of the 1970s. William Schallert: Monte was a very generous guy, really nice guy. He was running a theater on Melrose, I think. Oddly enough, it was another Circle Theater, but it was unrelated to ours. Monte Hellman made a production of Waiting for Godot there with Jack Albertson and his comedy partner Joey Faye. And it was quite wonderful. It really was. Jack was a terrific actor and that was a marvelous production of it. And so Monte did quality work on the stage, but I don’t remember how I met him. I may have approached him about doing The Cave Dwellers or… I don’t remember how we came together. But in any event, he said, “Yeah, you should direct it, that would be great.” And he wanted me to use his wife and I said, “No, I can’t do that. I don’t think she’s right for it.” So then I used my wife in it (laughs). But I must say, he was very generous about it and at first he said, “Well you were right, she was wonderful in it.” But that was the show that kept me from ever directing anything again. 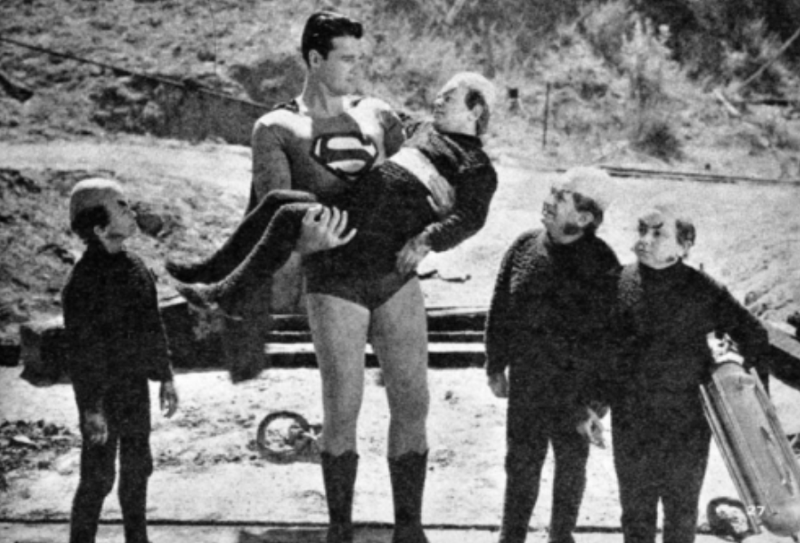 I had miscast a key role in it. The guy was physically right for it, the right type, but he couldn’t act his way out of a paper sack. William Schallert: So that was when I realized casting is the main thing that a director does. And if he doesn’t do it right then the show will never be good. And so that’s when I learned that lesson. It was after that I decided I wasn’t going to direct anymore. 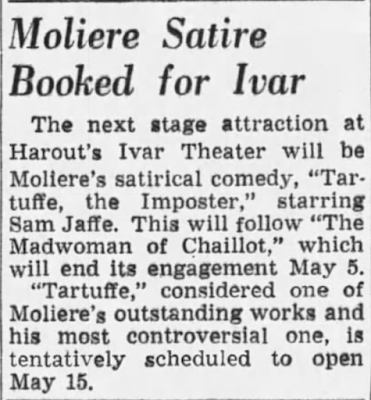 Kliph Nesteroff: June 1951 - Tartuffe the Impostor starring Sam Jaffe at the Ivar Theatre. You not only acted in it, but you also did the music. 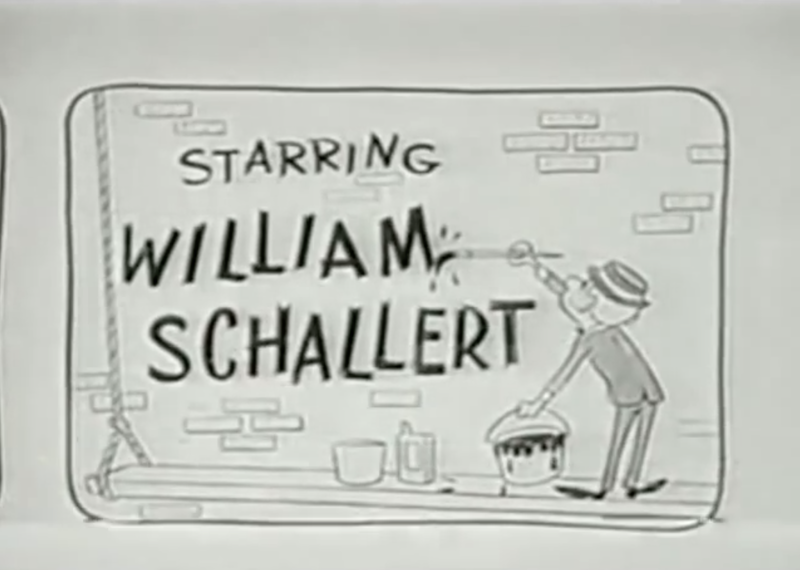 William Schallert: Yeah. Well, I’d studied composing with Arnold Schoenberg when I was at UCLA. That is, he had let me join his graduate seminar. He used to hear me playing the piano and he thought I had a particular musical ear. I was playing stuff that was symphonic, but I’d managed to find a way to play it on a piano too. Leonard Stein told me that that was the reason Schoenberg had invited me to be in his graduate seminar. But I’d found out in the graduate seminar that I couldn’t do it fast enough to make a living. That was the key. The other people in the class were much more adept. I couldn’t work away from the piano. And I couldn’t hear it in my head in the way it needed to be. But before that I did some musical tracks for plays I was in. 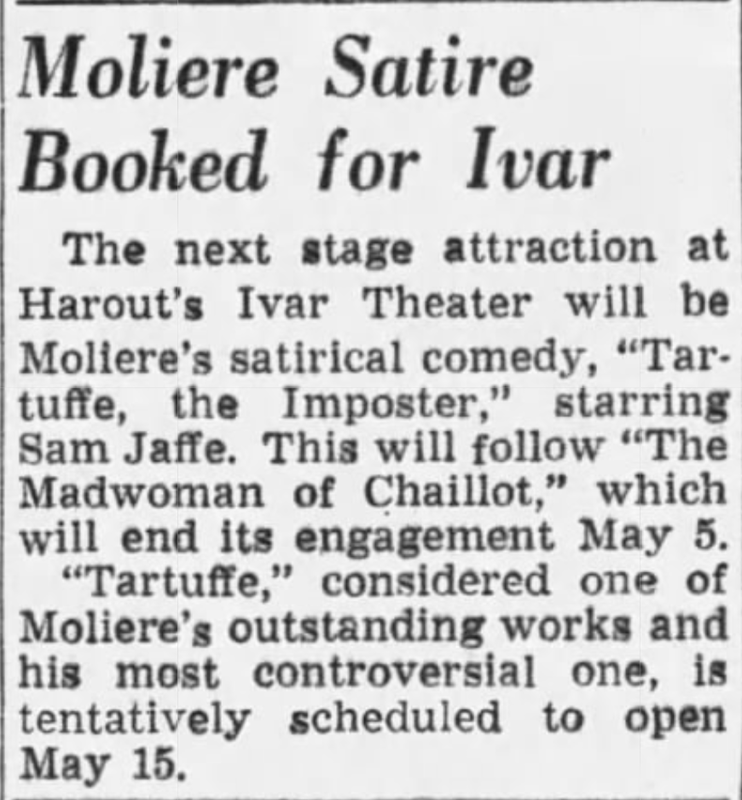 At the Ivar - I think that was The Mad Woman of Chaillot. Was it? Kliph Nesteroff: I don’t have that one down. I don’t know. William Schallert: Well, they had some music for it, written by somebody. And I thought it was good but I played it on the piano for a recording and they used it in the show. And you know, every way you could make a buck. I was surviving in those days. Kliph Nesteroff: Even though a lot of these were small parts - you were working with legends. 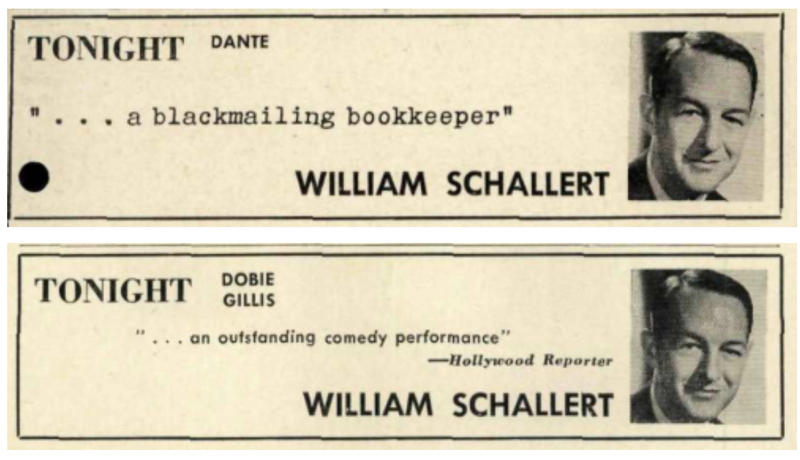 William Schallert: No question. Well, I can tell you a story about that. Would you like me to tell you about John Huston? A wonderful interview with the man who was 60's TV. Can't wait for part 2! Really glad to see the interviews back and what actor to start with! Kliph! Excellent, as usual. William was one of the best, and a really nice guy. I hope this is Part 1 of 20! Thanks Kliph! Love everything you do (that I am aware of)! Wonderful, as always. Mr. Schallert had such a deft touch. He was perfect as Mr. Pomfritt on the great “Dobie Gillis” show. Re Ken Murray's Blackout. Ken was also the one who brought us the beloved family all-bird all-the-time 1948 flick, Bill and Coo! Excellent interview! William Schallert, Kathleen Freeman and Marvin Kaplan gave whatever show or movie they appeared in a lift. 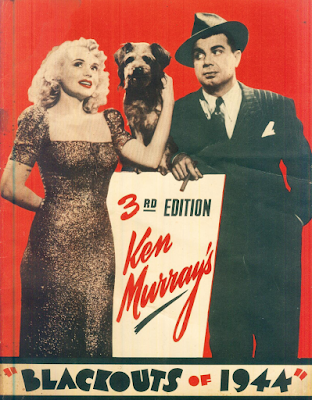 I remember Ken Murray as an ubiquitous presence on our black-and-white TV way back when.